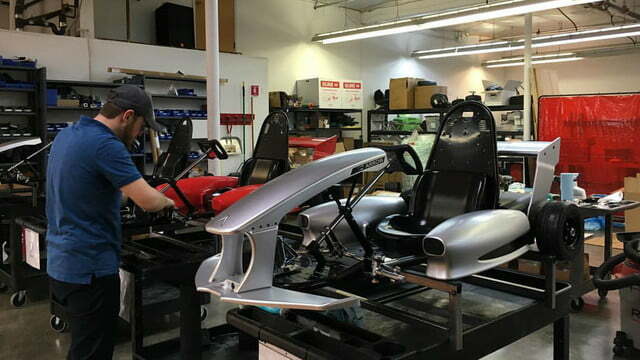 The field of go-karts has seen little innovation for the past several decades, but there’s at least one Silicon Valley startup that’s keen to to give these little four-wheeled vehicles a much-needed update. 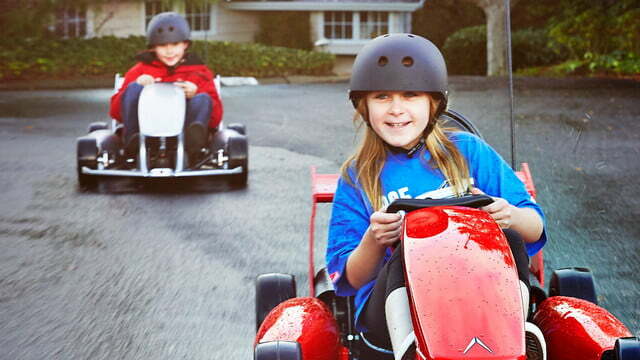 Introducing The Arrow Smart-Kart from Actev Motors: the first ever smart go-kart designed for kids. 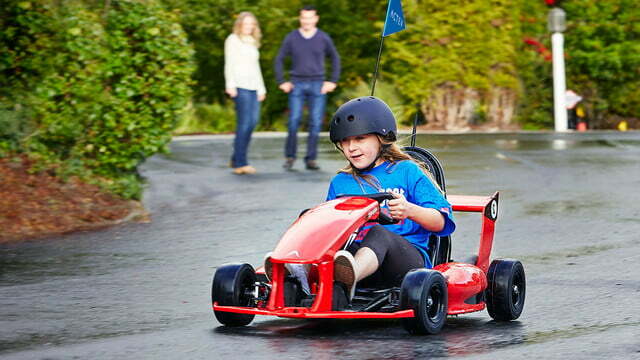 Unlike the bare-bones carts you’re used to seeing, this smart go-kart is built with high-tech safety features similar to those found in an adult-sized car. 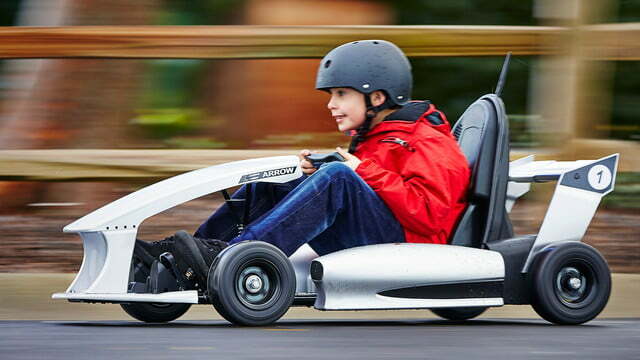 The Arrow features variable speed settings (up to 12 miles per hour) that parents can control through a smartphone app via the kart’s built-in Wi-Fi and GPS. Parents are also able to geofence the kart to refrain their child from wandering astray. An inactivity timer helps keep track of children that are out of sight and the kart can be disabled in times of emergency. Intrestingly enough, the Arrow is installed with collision auto-brake, allowing the kart to come to a halt if it detects objects in its way. Drivers are allowed to switch gears between drive and reverse if they haven’t mastered the double tap of the brake pedal. This gear selection also allows drivers to place the kart on Park when the vehicle has stopped, and it can even be placed in neutral, making it easier to push the kart when it’s off. Kids are also able to create a Driver Profile, allowing for customized settings and speed adjustments for each driver. In addition, the Driver Profiles feature enables kids to track their performance and own driving results. 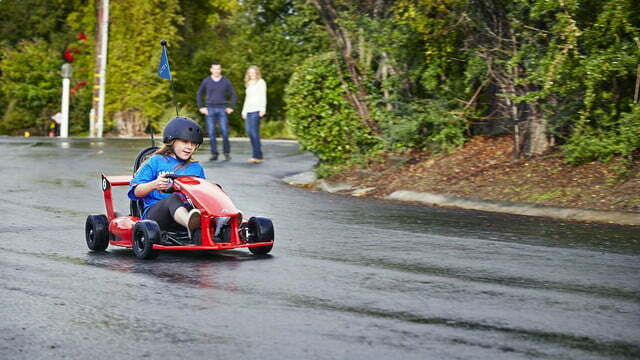 The Arrow Smart-Kart can be pre-ordered for $599.95 and will begin shipping the models early summer of 2016. Audi is preparing to launch a tiny crossover called Q2 ... will the U.S. market see it?